A new stunning animated campaign from John Lewis, a commercial entity that sought to bring quality to life, has just caught my attention, not only because it is in time for the Christmas season and it utilizes superb animation and exquisite imagery, but also because it features one of the timeless songs by Keane, Somewhere Only We Know. The animation is about two best friends: the Hare and the Bear. The latter having not heard of Christmas is helped by the former to finally experience it. So the "Hare [gives] his best friend Bear a Christmas he'll never forget." Using the combination of traditional 2D hand-drawn animation, stop frame, and 3D model made sets and adding the nice cover of Somewhere Only We Know by Lily Allen in the background -- the result is one of the most stunning animations I've seen this year. Watch the John Lewis Christmas Advert 2013 - The Bear & The Hare with the song Somewhere Only We Know covered by Lily Allen. You could know more about the campaign by visiting John Lewis's official campaign page. 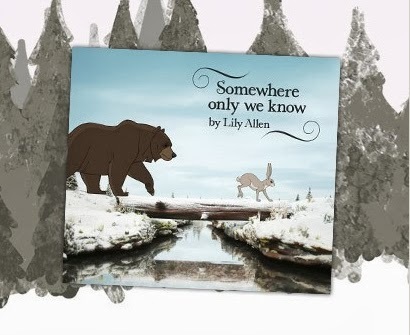 The song Somewhere Only We Know by Lily Allen is available for download at iTunes.